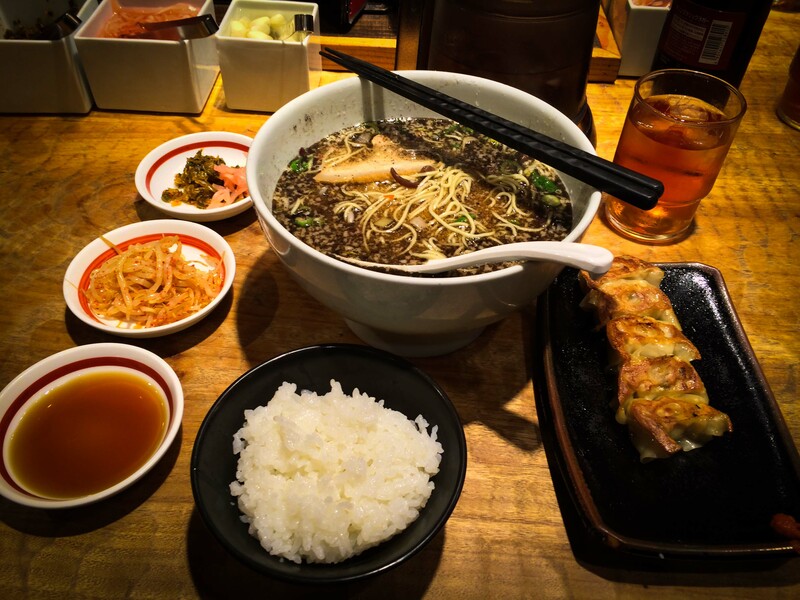 You’d be hard pressed to find a country in the world where the food splits opinion quite like the way Japanese food does. 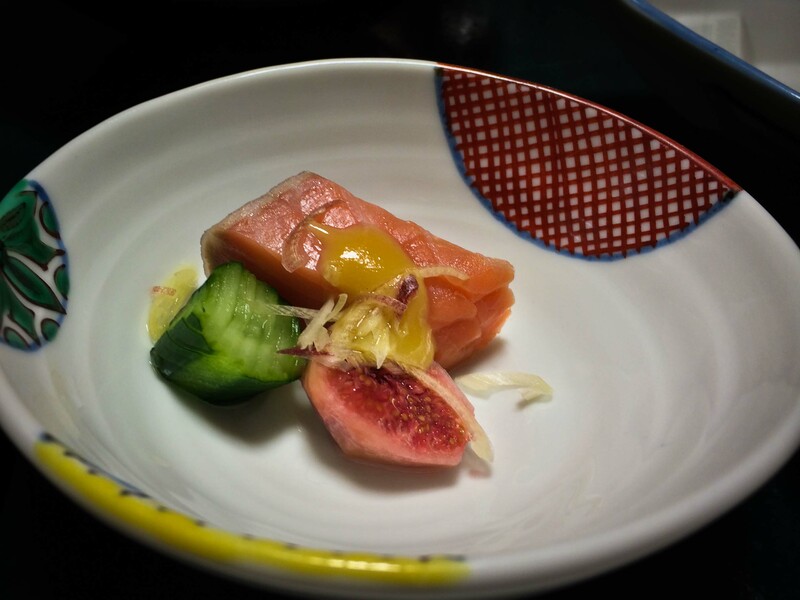 Japanese food creates the most extreme of views, and for many people, the idea of raw fish is a culinary step too far. 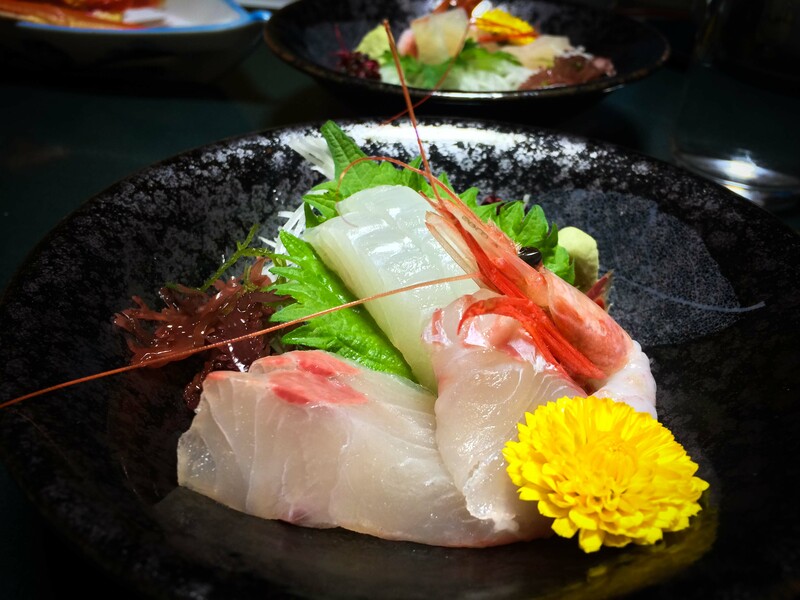 From our travels around Japan, we know Japanese food is much more than just sushi and sashimi, from steaming bowls of ramen to deep fried octopus balls, and from our Japanese culinary odyssey, we present to you 20 of the very best food experiences in Japan. 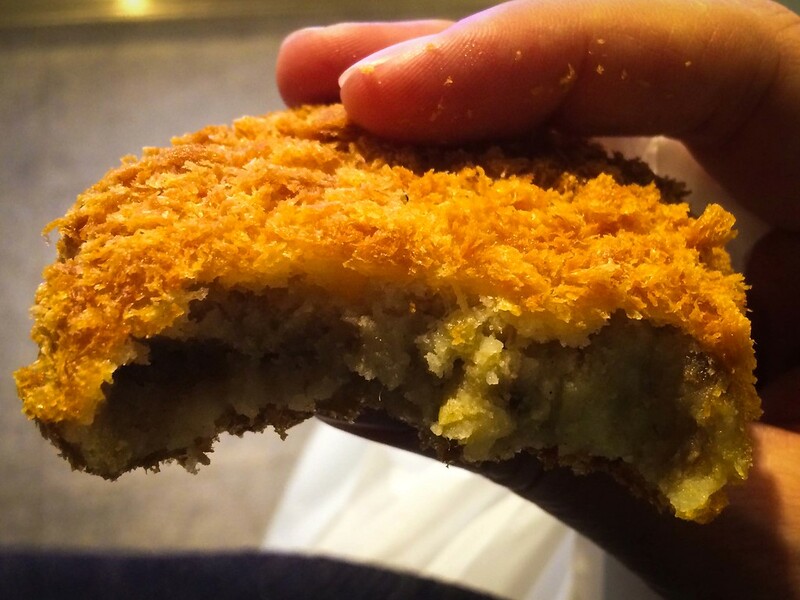 We start with one of my all time favourite quick bites, a snack so good I’d make it mandatory in all restaurants (if I had the power). 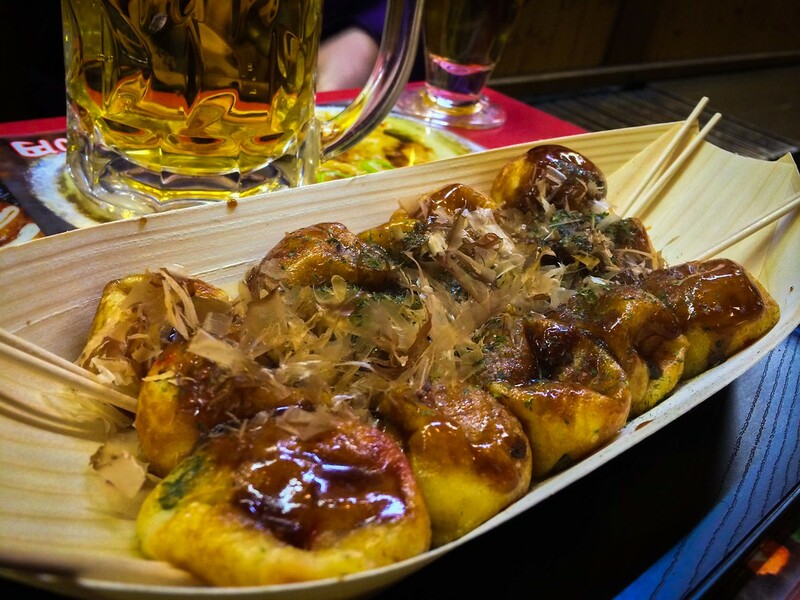 Takoyaki are balls of meat made from Octopus, deep fried in cheese and other delicious ingredients and they are especially good when accompanied with some chilli sauce and a beer. They are a snack fit for Kings (and Worldly Nomads). 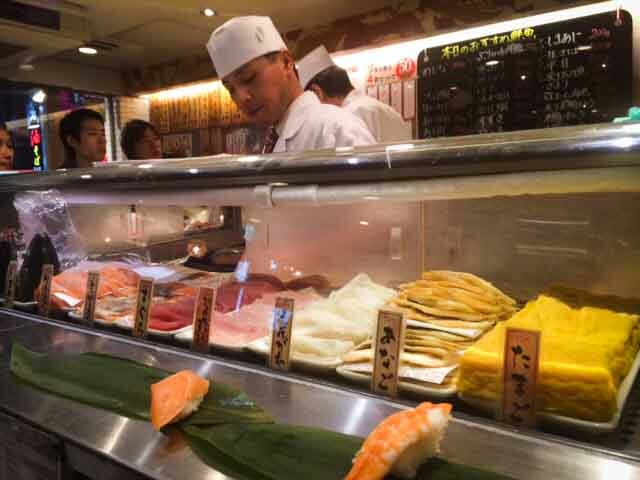 Stand up sushi bars are something we stumbled across whilst in Tokyo, and we had one of our favourite evenings trying all manner of exotic treats. 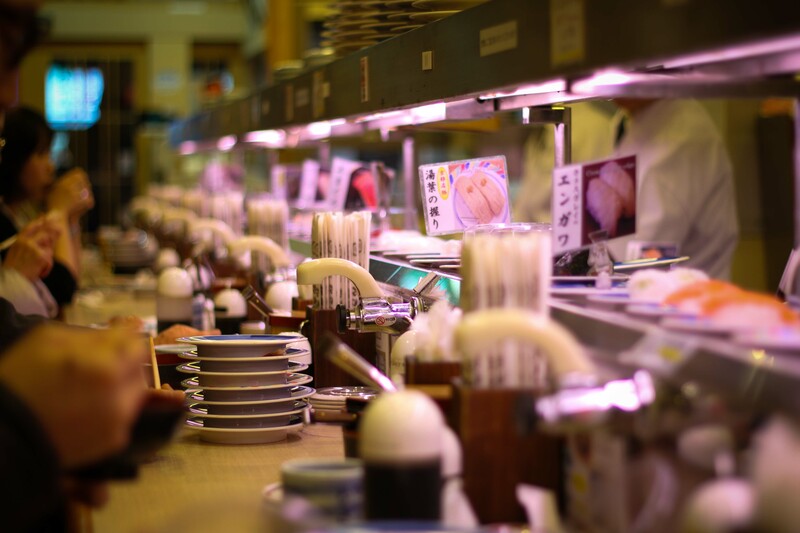 I mean, why sit down when you can crowd into a tiny space, lean against a counter and admire as the chefs a couple of feet away prepare each sushi dish with delicate and intricate fever. This is a must do in Japan. 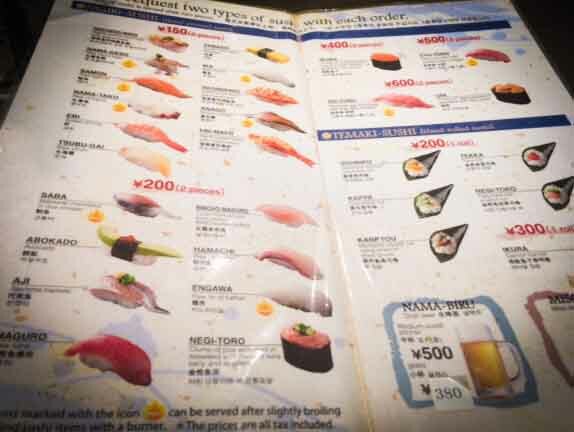 The bonus is that no Japanese is required, you can simply point at the various creatures in the displays or on the menus, and watch the chefs work their magic. If you’re not sure, the chefs will be more than willing to ply you with the things they think you should try. 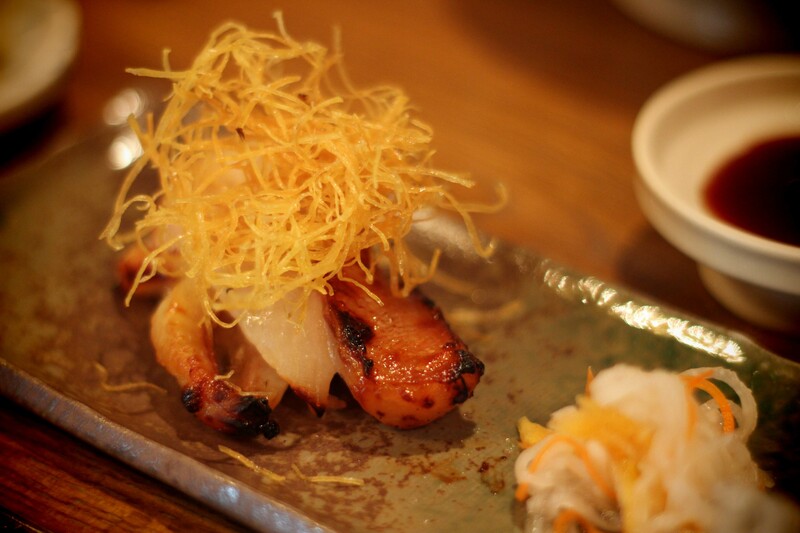 TIP: try the flame grilled baby squid, outstanding. 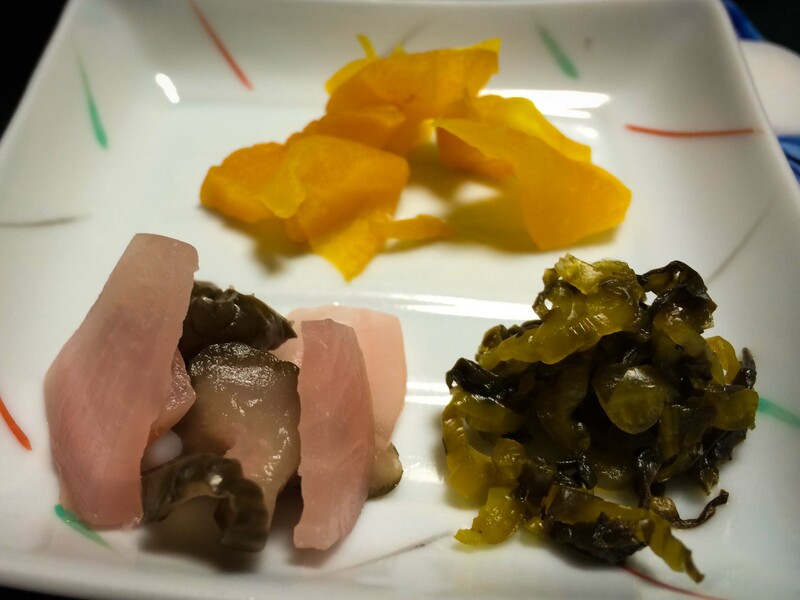 Our stay at Mount Fuji also coincided with our most adventurous encounter with Japanese food, and probably the most confusing meal we will ever eat. 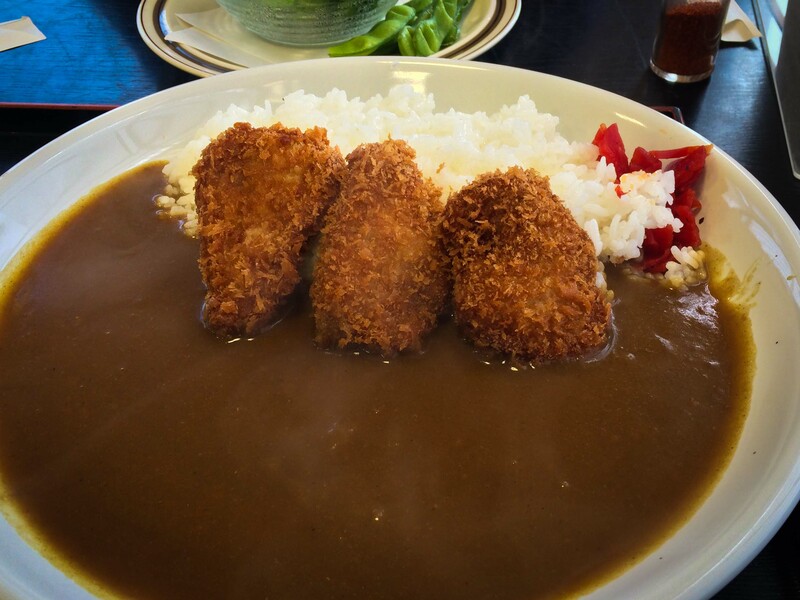 We’ll be honest, this is when we struggled most with Japanese food. Coupled with the fact that we were so remote that there was nowhere else to eat (in fact, there was nowhere else full stop), made meal times all the more ‘exciting’. 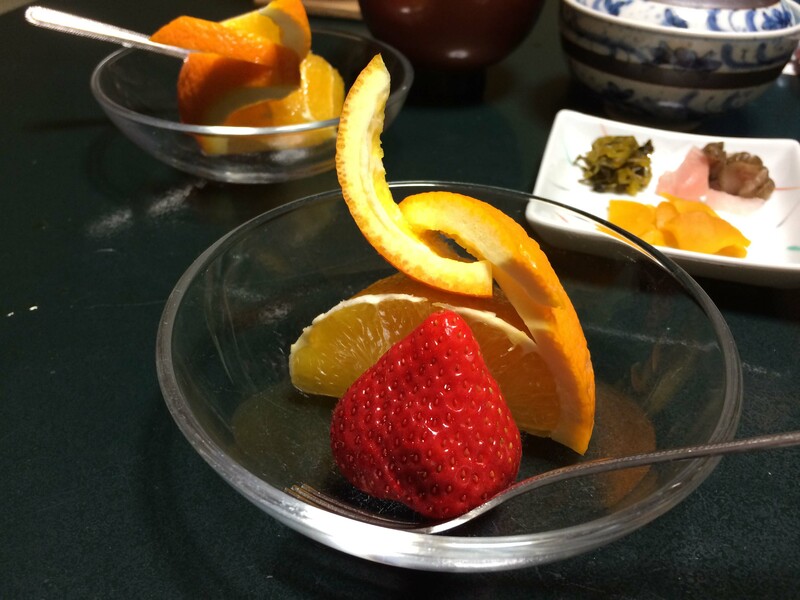 As part of our Ryokan experience, we had signed up for the traditional dinner and breakfast option, which we’d read online was a banquet with all manner of delicious treats. It was here that we experienced some foods that 1) we had no idea what they were, and 2) we were not sure which part of said thing we were meant to eat. A case in point: We still don’t know what this is (if you do please let us know in the comments below!). In all seriousness, which piece of it would you eat? In the end, I nibbled off the dark bit at the end and ate it. It was, quite frankly, awful. And I do feel bad about saying that, but it was. It tasted like a pool of sea water that had collected in rocks on the beach, with said pool full of various crabs and shells. I don’t mean to sound uncultured about it, after all as you can tell I love Japanese food, but this was all a bit too much for me. 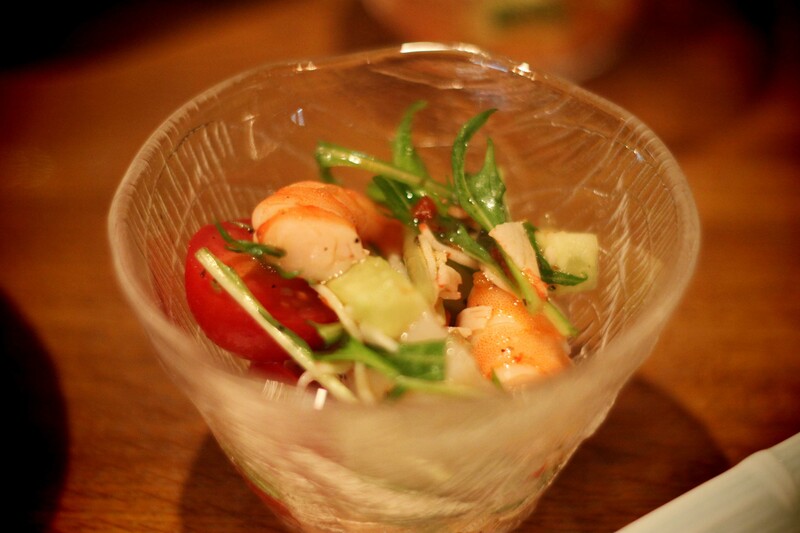 We also had some blockbuster dishes as well, like these morsels of goodness. 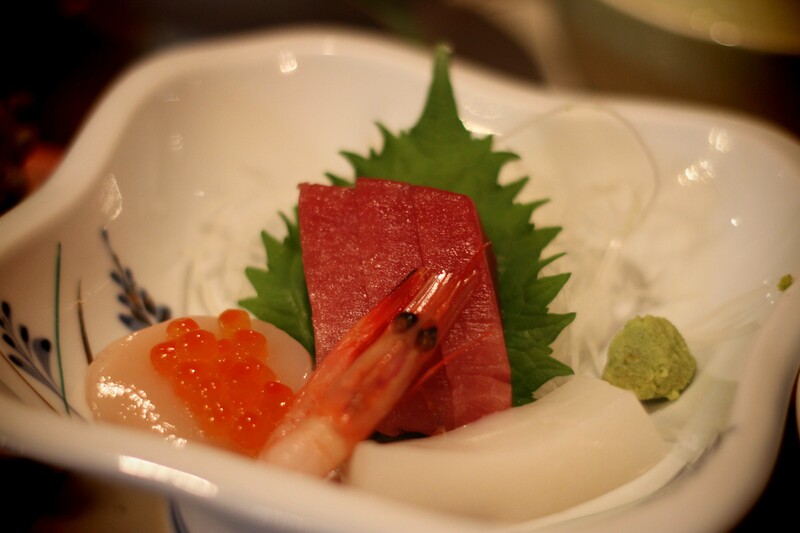 Much of what we were served was as expected: beautiful cuts of sushi and sashimi, delicious pieces of beef ready to be cooked in a hot broth on the table and vegetable tempura – all absolutely delicious. And others we gobbled down with delight. Moral of the story? 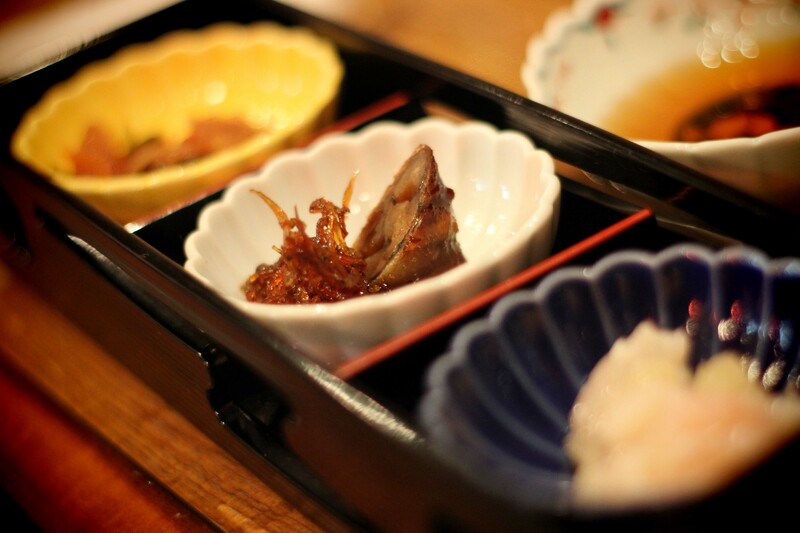 Be adventurous, try everything once, take on a Japanese banquet, but maybe do it somewhere where you can get something else in case it doesn’t quite fit your tastebuds! Picture the scene. You’re in a buffet style restaurant with all manner of heavenly salad options and dressings, all accompanied with a cacophony of condiments. You feel like you’ve landed in green heaven. But I’m a meat eater I hear you scream, never fear, meat is here. The idea is pretty simple. 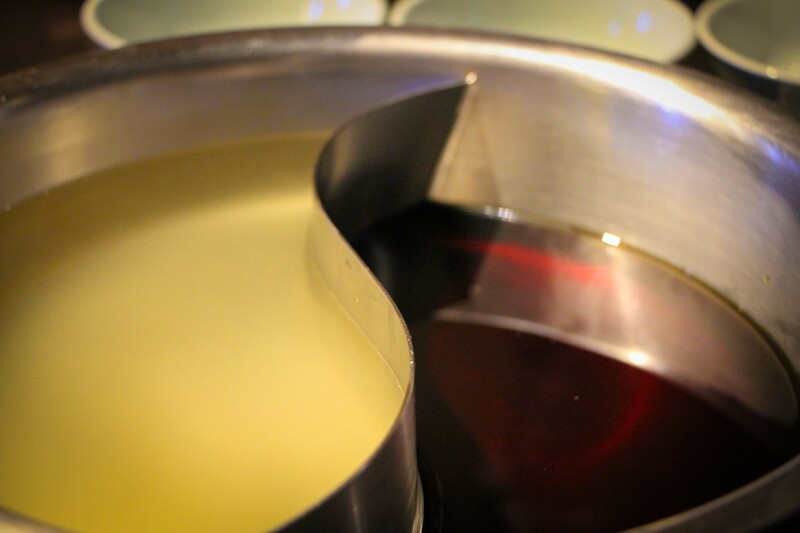 Pick a couple of soup stocks, and wait as they are delivered to the centre of your table, bubbling away as the rich aromas tease your nostrils. 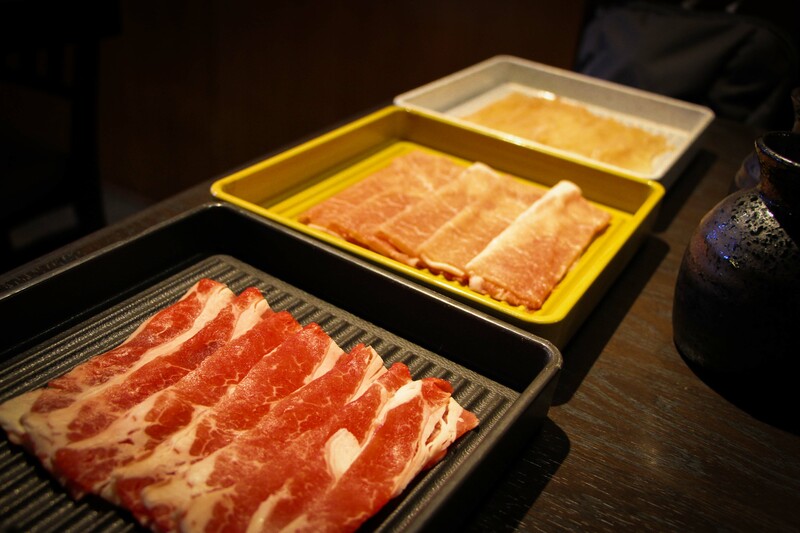 Quickly following behind the soup stocks are three plates of raw meat: beef, chicken and pork, all thinly sliced and delicately laid on the plates. You’re halfway there. Head up to the buffet bars, and grab yourself some noodles, mushrooms, other vegetables, whatever you feel will go with the soup and meat. Head back to your table, pronto. 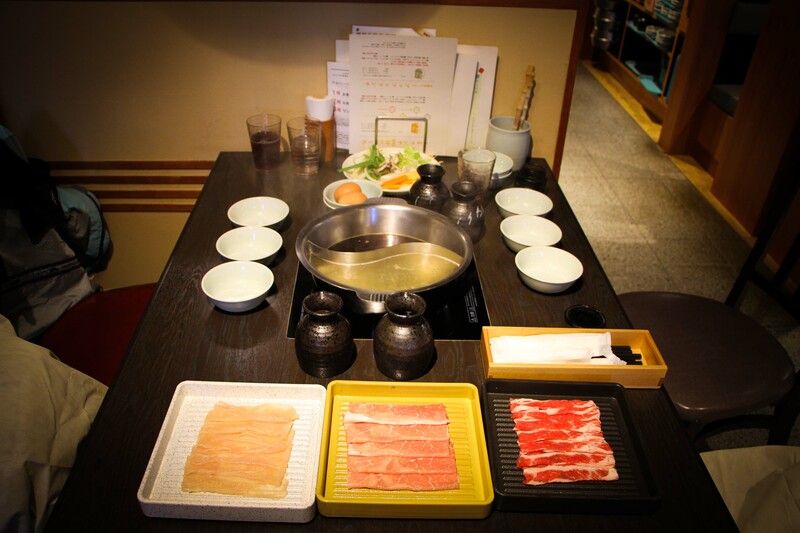 Now comes the biggest decision of all, which broth are you going to cook your meat in, and what are you going to cook it with? 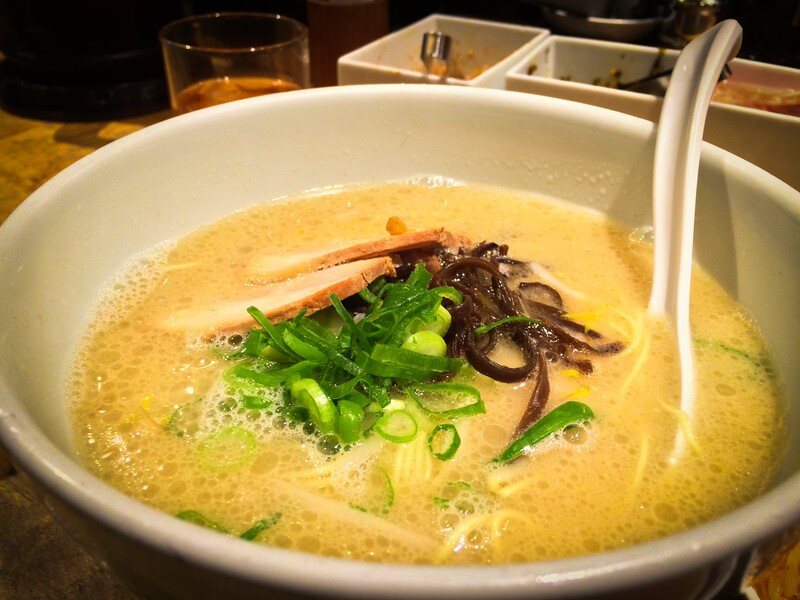 We must have looked like complete amateurs to begin with, the two local Japanese girls giggling quietly to our left as I put something unexpected into the broth. 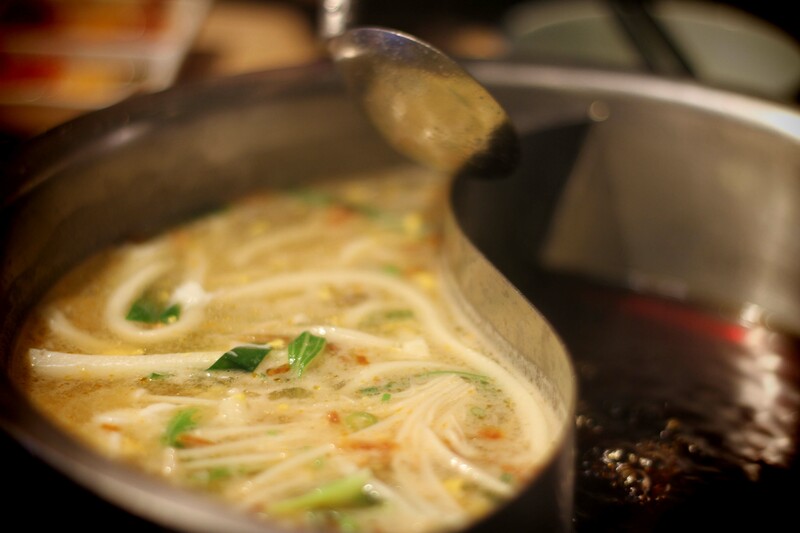 For the next hour or so, we dipped our thin slices of raw meat into the bubbling hot soups, along with various combinations of noodles and vegetables before scooping them out and placing them in a bowl with chilli, soy and garlic all waiting. My goodness we ate well that day. 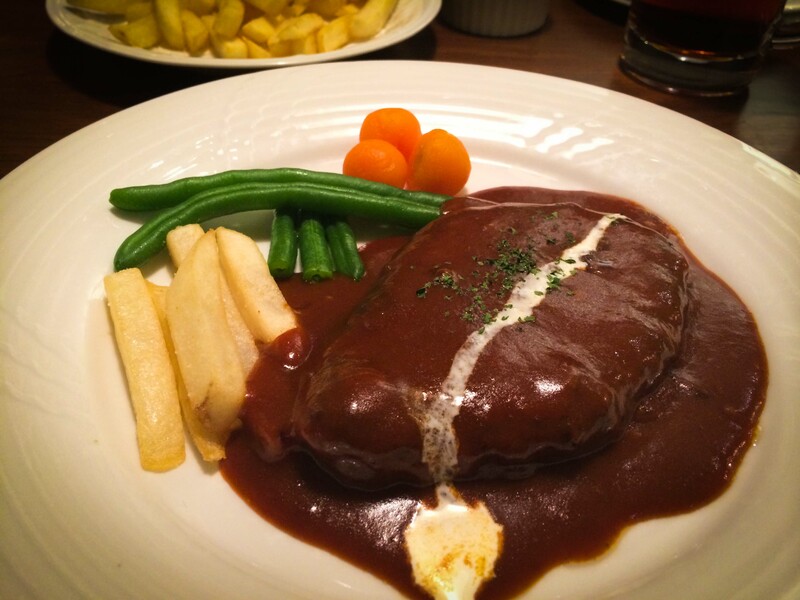 For most meals, the crescendo comes when the food arrives. After all, thats what you’ve come for, and what you’ve been sitting waiting patiently for, trying desperately to not eat another bread roll which sits in that bowl in the middle of the table. Anyway, I digress. 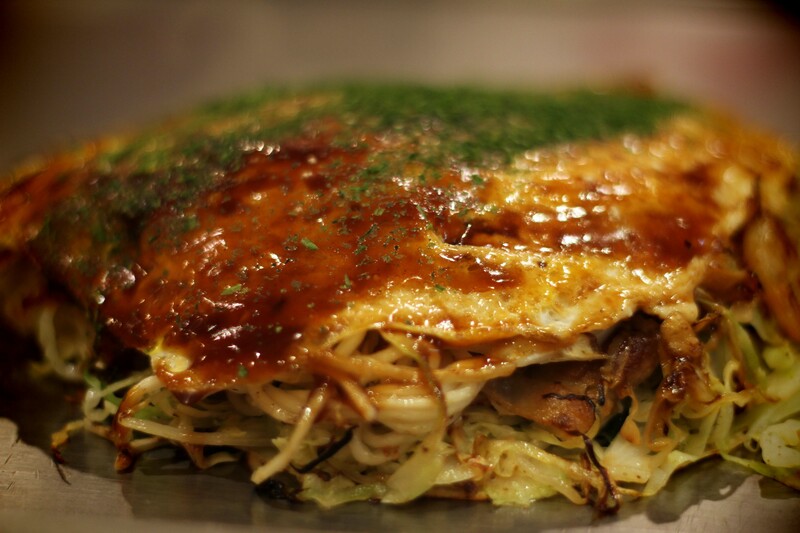 When you go for some Okonomiyaki noodles, the best part is the show that goes into the preparation of the meal. 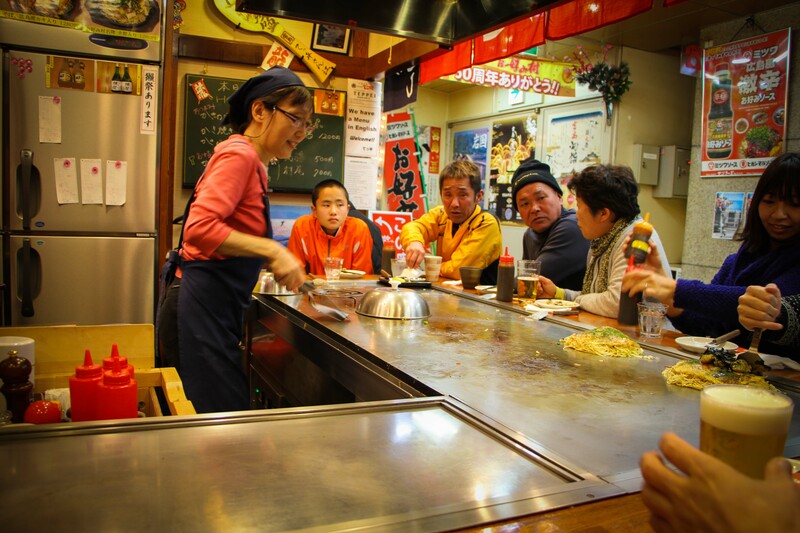 Teppanyaki plates are super heated, and then your meal is rapidly built in front of you. The expert ladies in our place threw down some paste onto the super heated plates, and added cabbage, noodles, various sauces, vegetables, maybe some prawns if you’re feeling flush. Bang, on goes the pan lid over the dish, allowing it cook and steam. To your left, someone has made the incredible decision to order some mussels, and they suddenly come alive on the grill. Well, when I say alive, they are very much dead but making some serious sizzling noise. Again, the pan lid bangs down over the top to allow them to steam. Everywhere we look things are happening. Another beer arrives, these ladies know what I want and when I want it. I sit mesmerised, and then my food arrives. It’s best described as like a stack of pancakes, filled with vegetables, barbecue sauce, noodles and other herbs and spices. I’m given what looks like a paint brush, which I’m told to use to paste more BBQ sauce onto the top. After all, you can never have enough BBQ sauce. I enthusiastically slice my tower open and devour it. The Japanese guy to my right who ordered the mussels offers one to me, I refuse at first out of embarrassment as I have nothing to offer him, but he insists. I take one, taste it and indadvertedly let out a wow. He laughs, his friend laughs, the ladies laugh, I’m glad I reacted the right way. It was delicious. If we’d found this place earlier, we would have been back every day. Go somewhere like this when you’re in Japan, you won’t regret it. You’ve seen them, or at least heard about them. They are a rite of passage for visitors to Japan. Grab a seat, and then help yourself. Just remember to keep the bowls, the number you have helps them work out your bill. Try things out here you wouldn’t otherwise have. A confession, we didn’t actually try this, but we came close, completely by accident. We entered a lovely looking, small restaurant with a few tables. We sat down, our waiter provided us with hot towels and menus. We thankfully cleansed our hands and face with the hot towel and sat it down on the table. And then we looked at the menu. The realisation came slowly at first. The first thing that confused me was the outline of a cow with all the various cuts in Japanese, except it was a rather lean and tall cow, much like a horse shape. The penny didn’t drop. Then the descriptions, translated into a version of English where the words were all clear individually, but together made up sentences which left us scratching our heads, ‘saddle cut’ being one that stands out. And then it hit us, this was a horse meat bar. 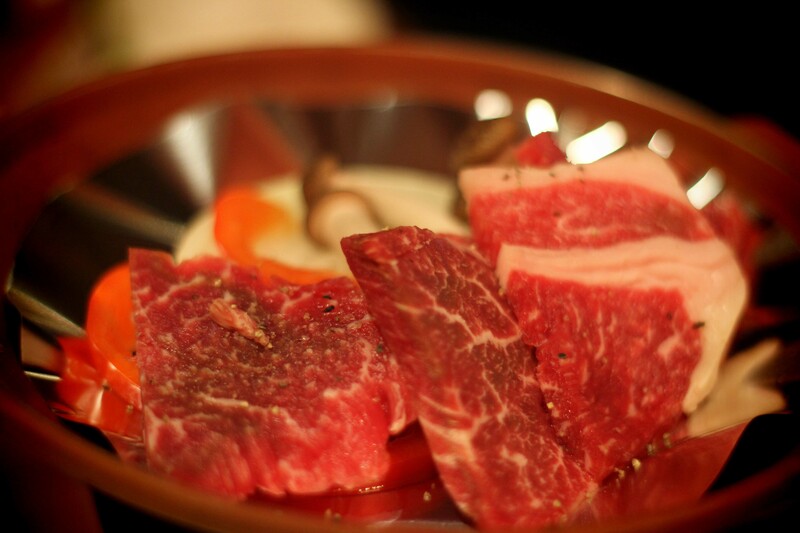 Not only that, a raw horse meat bar. We’ll try pretty much anything once, but we decided we didn’t quite fancy the idea of raw horsemeat. What to do though? I mean, we’ve already used their hot towels, that’s practically a signed contract in restaurant land. 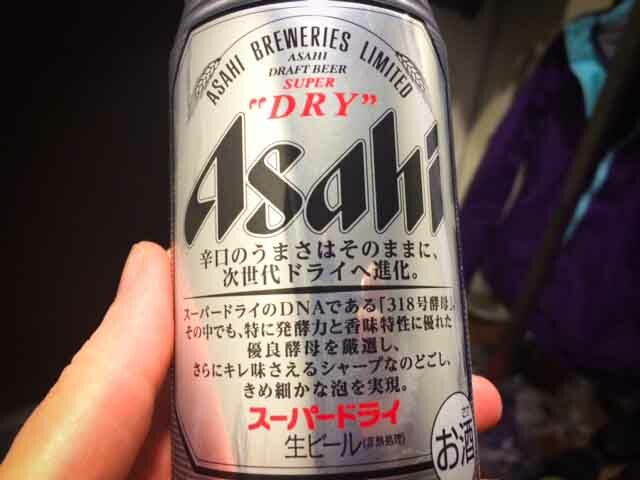 And, of course we don’t speak any Japanese. 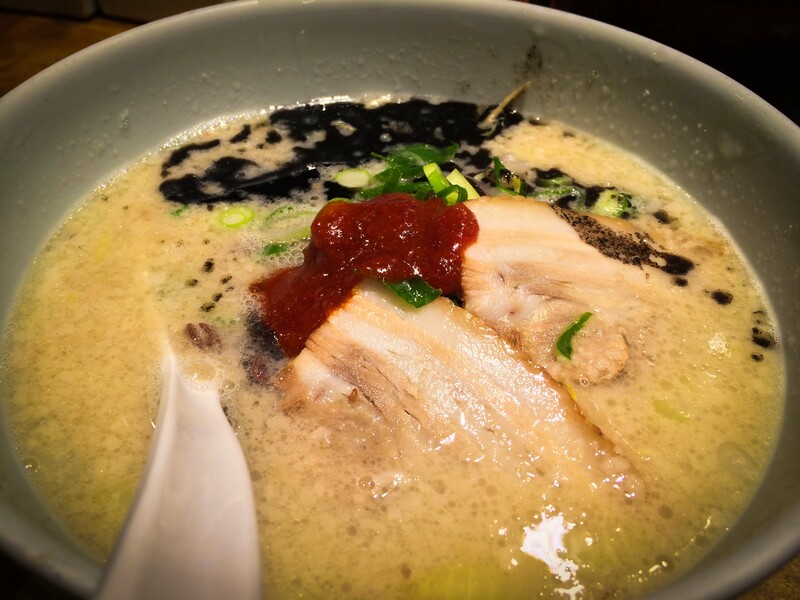 We decided the best course of action was to feign sickness, and we headed back into the cold Tokyo night, in search of a steaming bowl of Ramen. 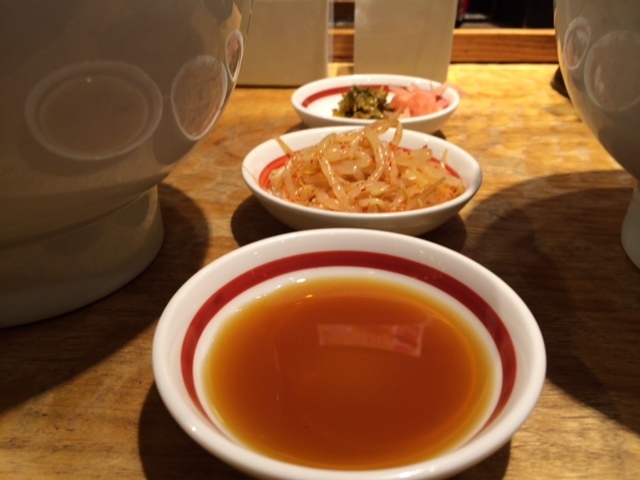 Enjoying a small bottle of sake with sushi is a pretty common occurrence in Japan. we’re sad to say we failed miserably at liking sake – trust us we tried it a few times but we just can’t get our tastebuds around it. Sorry, Japan. 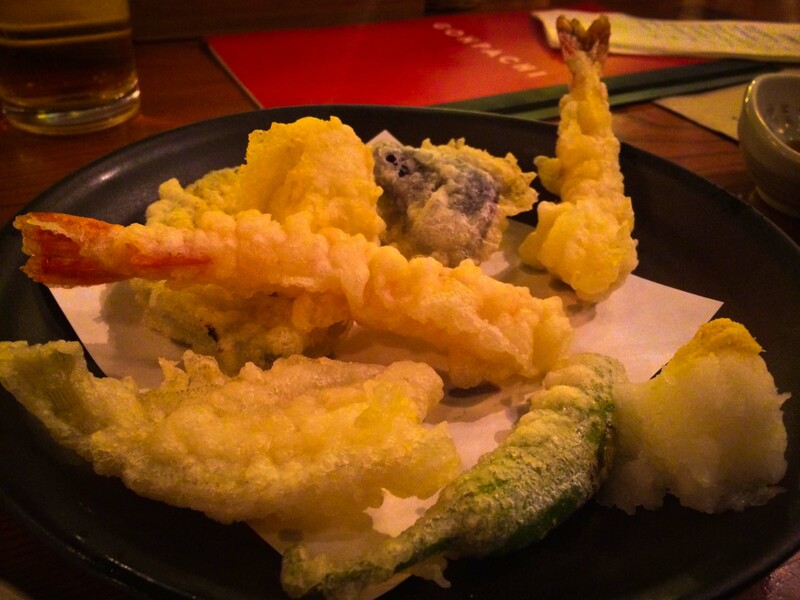 A pretty regular occurrence around the world, the style of tempura has made its way into everyday life in many places, with various non-Japanese restaurants offering it. We’re big fans of it, obviously. I mean, who doesn’t like things deep fried? 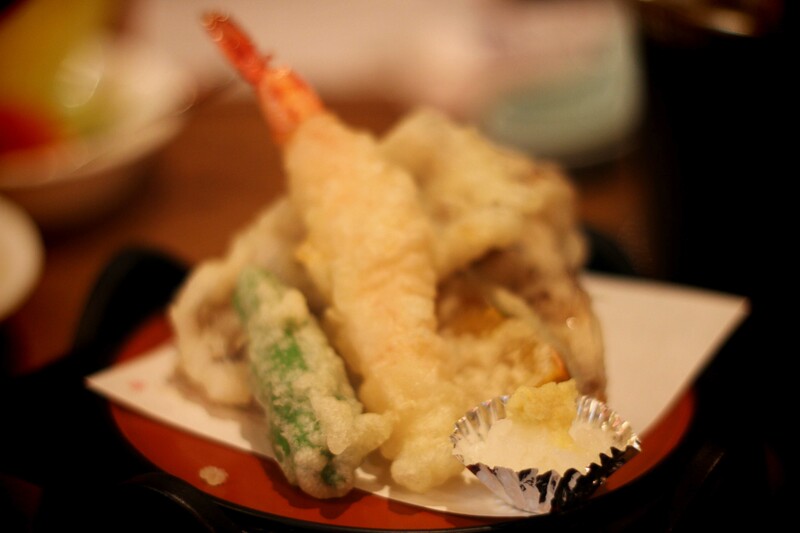 With most of the sushi banquets we had, tempura came part of the deal, but you’ll also find tempura prawns floating in your ramen sometimes as well, which we never quite got used to. 11. 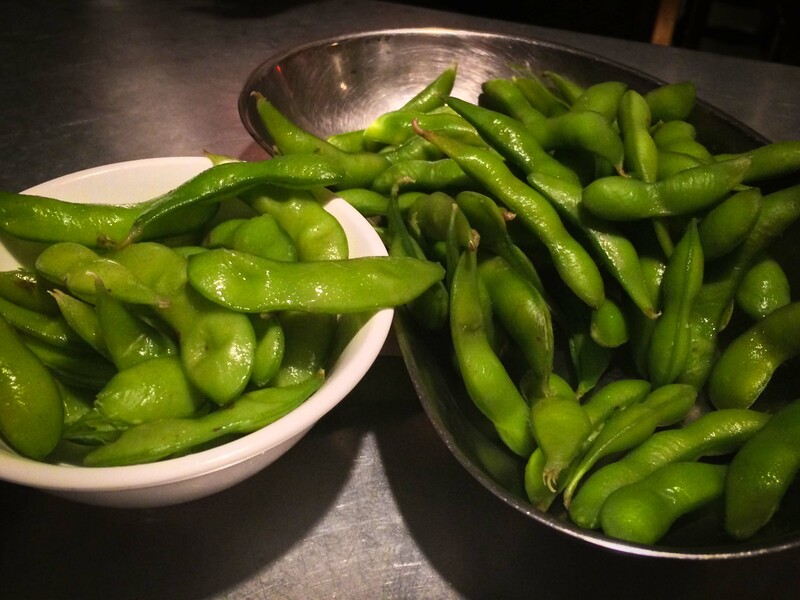 Edamame – Better Than It Sounds To describe Edamame to someone who has never tried it, you’d struggle to enthuse your audience. “Well, it’s like peas still in their pods with a bit of salt. You kind of throw the whole thing in your mouth, squeeze the peas out and deposit the pod in the bowl”. That sentence there is why we are not salespeople. Its not exactly complicated, but oh boy do we enjoy a hot bowl of Edamame as a pre cursor to our meals, and you should try it at least once! This is meat romanticised. Cows fed the very best feed, massaged on a daily basis and allowed to roam free. I’d been told this made the meat the most tender and delicious on the planet, and as a meat eater I just had to try this. The good news? The meat is absolutely delicious, I mean outstanding. 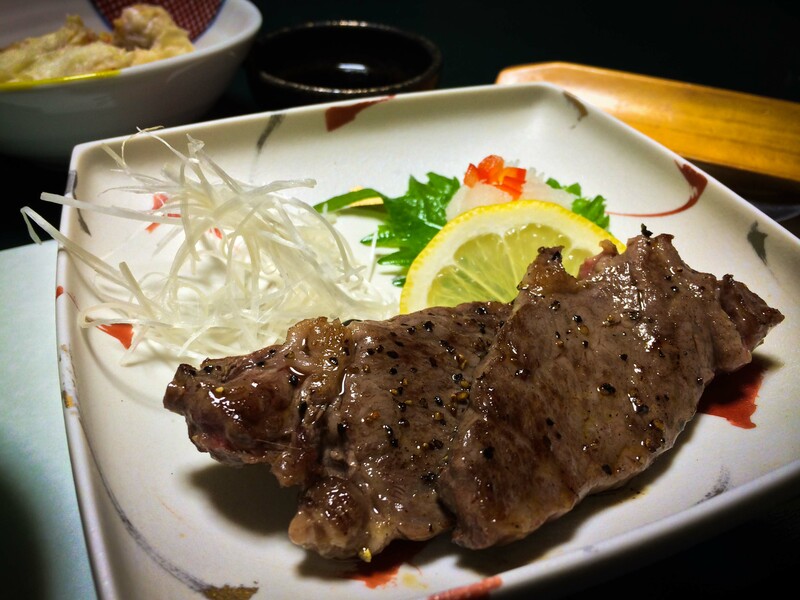 The meat has a depth of flavour I’ve never experienced before, and it was as tender as can be. The downside is the size and the price. 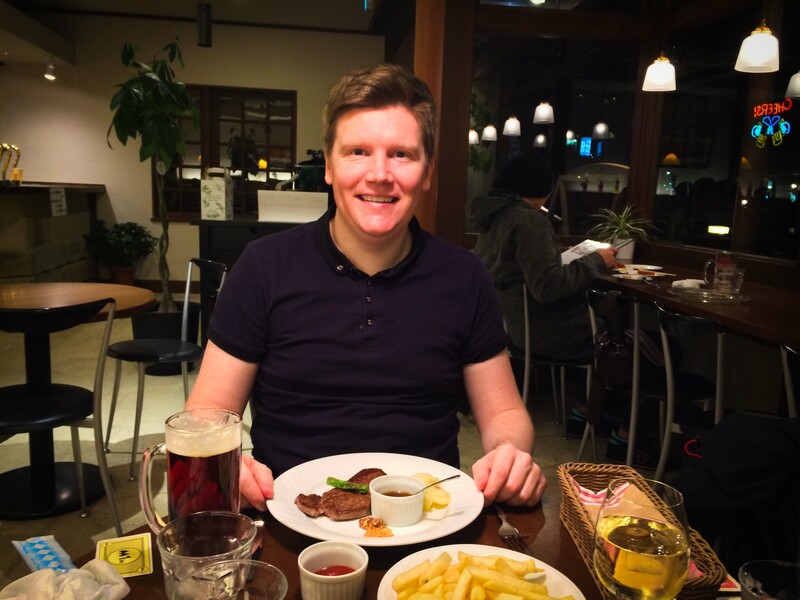 On one evening in Kinosaki, I splashed out and ordered a steak, which was easily 6 times the price of a regular meal. What I failed to do was check the weight of the steak I was ordering. I’ve never felt more crestfallen when a steak arrived at a table, it had to be the smallest piece of meat I had ever seen. Perfectly cooked, aromas wafting from it, but small. I could have had a weeks worth of dinners for the price of this piece of meat! Nevertheless, I savoured every morsel and as I said, it was delicious. And yes, I did give Laura a bit. So the sauce may come straight out of a plastic bag, what you gonna do about it? 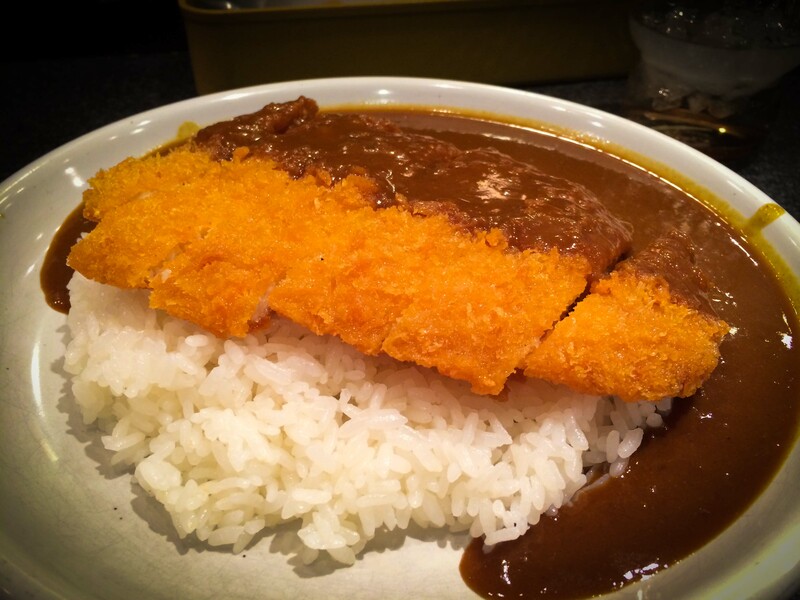 This is the treat of Japan, and isn’t anywhere near as healthy as sushi and sashimi, but when you need something to eat at a train station before a long journey, get yourself a bit of Katsu curry action. 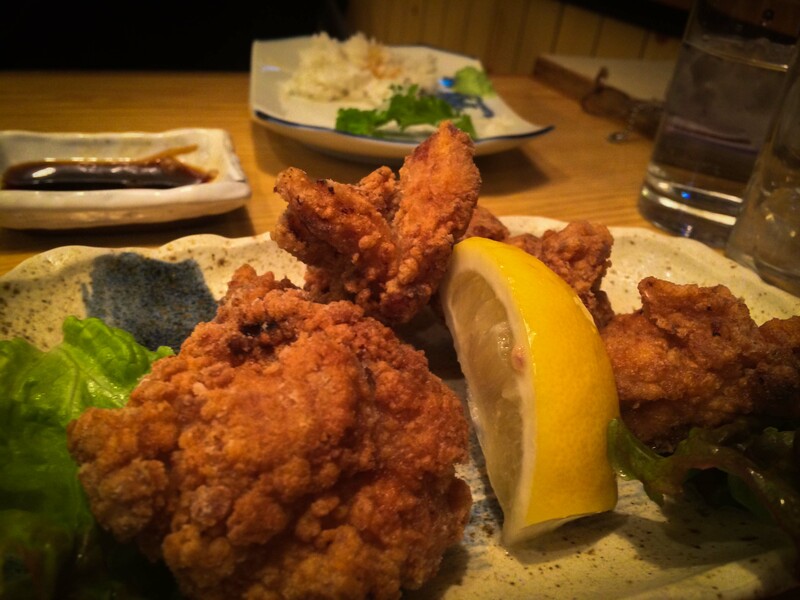 Salty curry sauce with salty, deep fried chicken and pickled radishes. 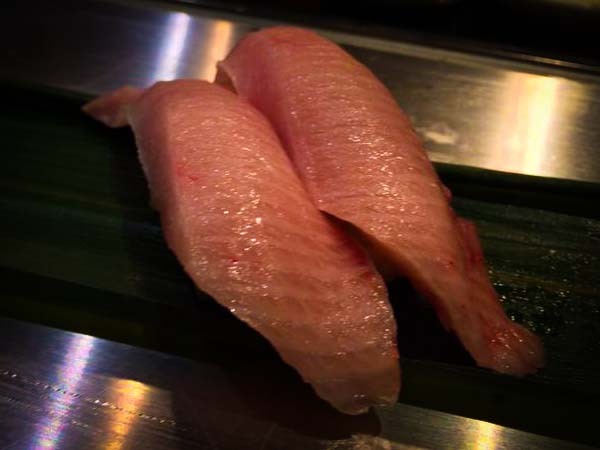 You’ll be healthy most of the time eating raw fish, so allow yourself this little treat. What a treat these bundles of joy were. I picked the brown and white bundle from a van on the street in Kinosaki, and devoured it en route to yet another onsen. 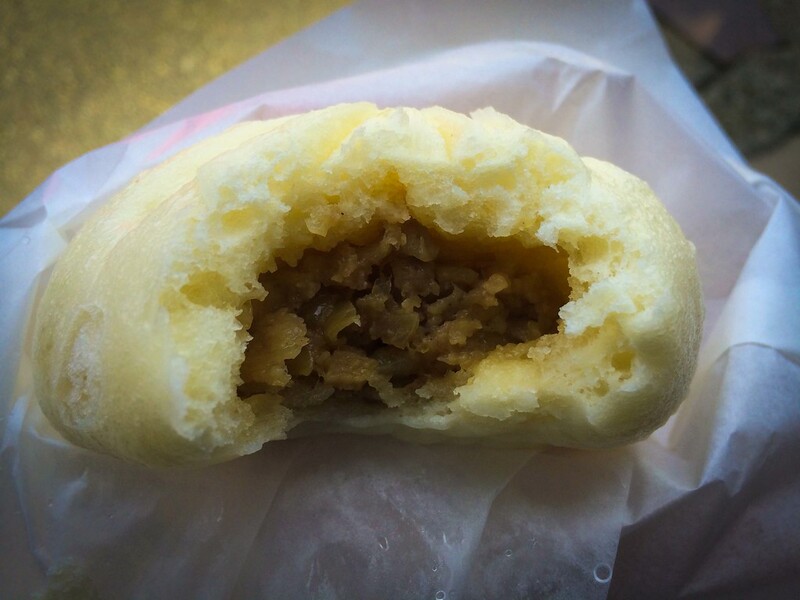 It’s a sweet tasting outside with a meat and onion filling, or even better how about the deep fried meat and cheese morsel I picked up at a train station on the right? Both amazing snacks when you’re on the move. If you’ve followed my previous Worldly Beer adventures, you’ll know I have a soft spot for the amber nectar. 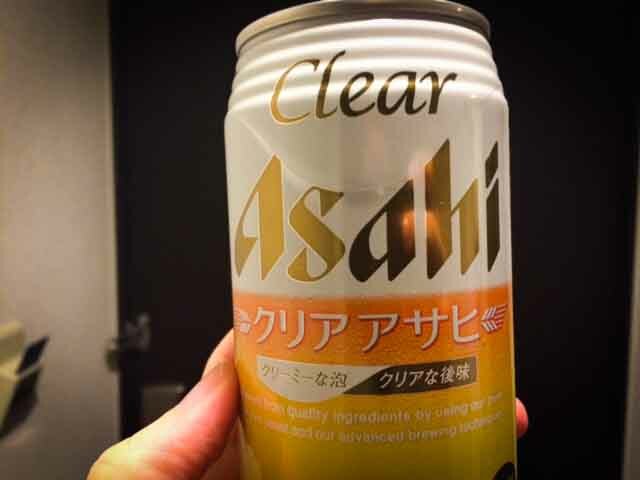 Japan has a lot of beer to choose from, from national brands to smaller local microbreweries, and the stuff is pretty good as well. 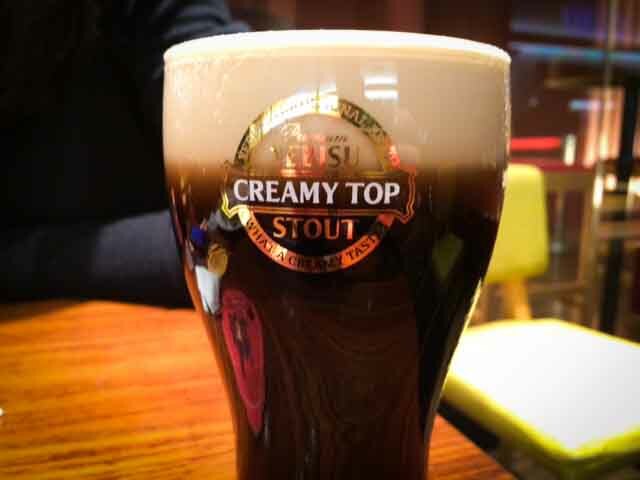 The Yebisu brewery in Tokyo is worth a visit. 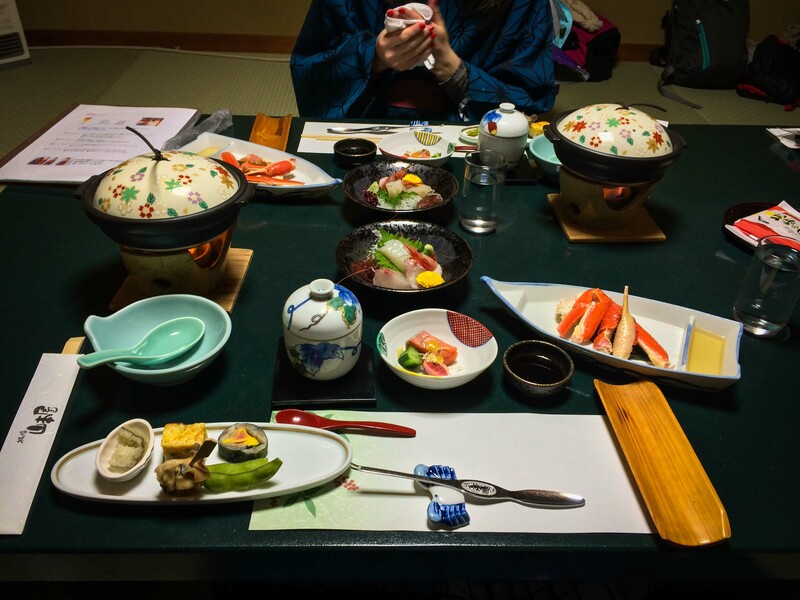 A stay in a traditional Ryokan is a must in Japan, especially when you can stay in your room and have the food delivered straight to your table. Your hosts will also make up your beds for you in the evening and remove them in the morning. We like our culture and unique experiences, but we also like to act like normal tourists as well. 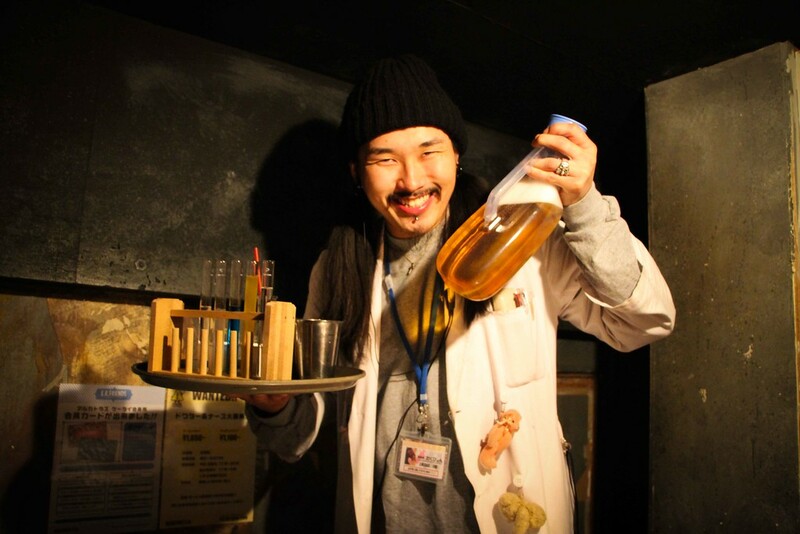 Do yourself a favour, if you ever find yourself in Tokyo, go to one of the multitude of themed restaurants in the city. 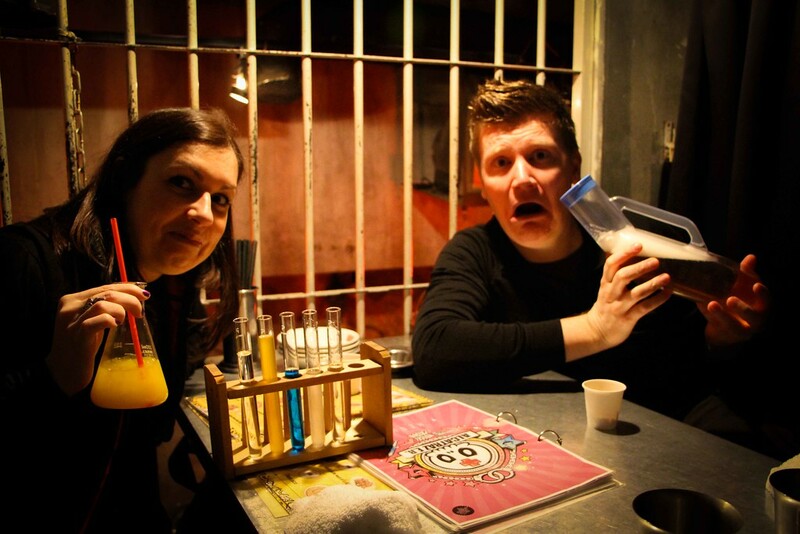 We went to some sort of Asylum themed place, the food wasn’t great but the experience was, well, interesting I guess. You get to meet people like this as well: What’s not to like? And yes that is a beer in a bedpan. 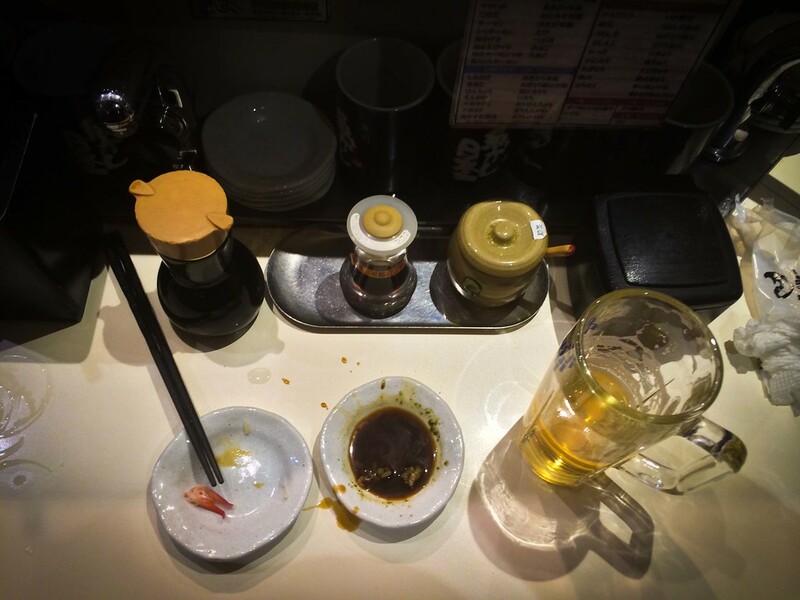 Take a moment to think about what is typically on a table in restaurants in your country. If you’re from the UK (as we are) you can almost guarantee on a table you’ll find salt, pepper and probably tomato ketchup. 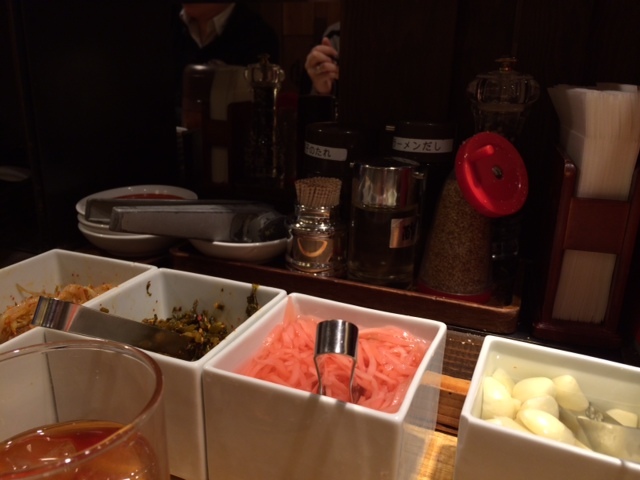 Standard, boring condiments to supplement our meals. 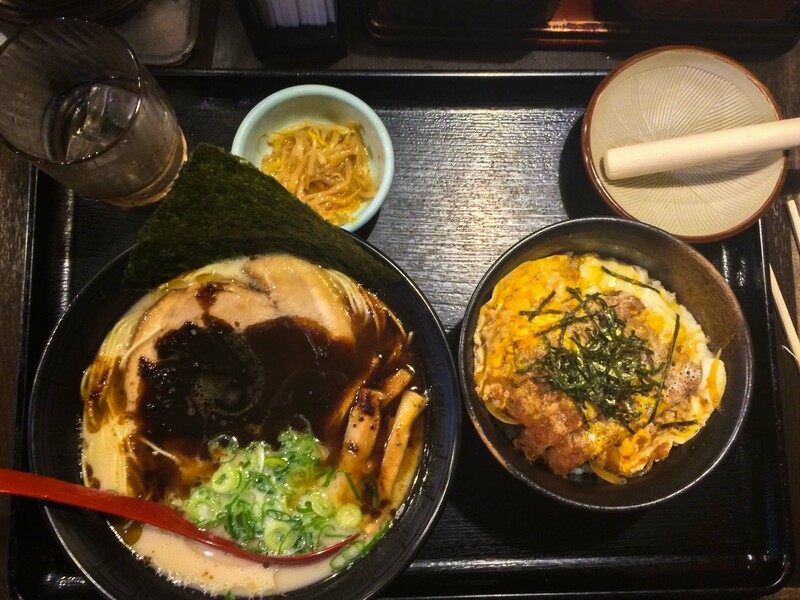 Not so in Japan, in fact it got to the point that we were excited to see what else we could add to our already amazing meals! Not only did we have access to lovely chillis, garlic, ginger, soy and fish sauce, lots of places had cold green tea by the tap! Imagine that? 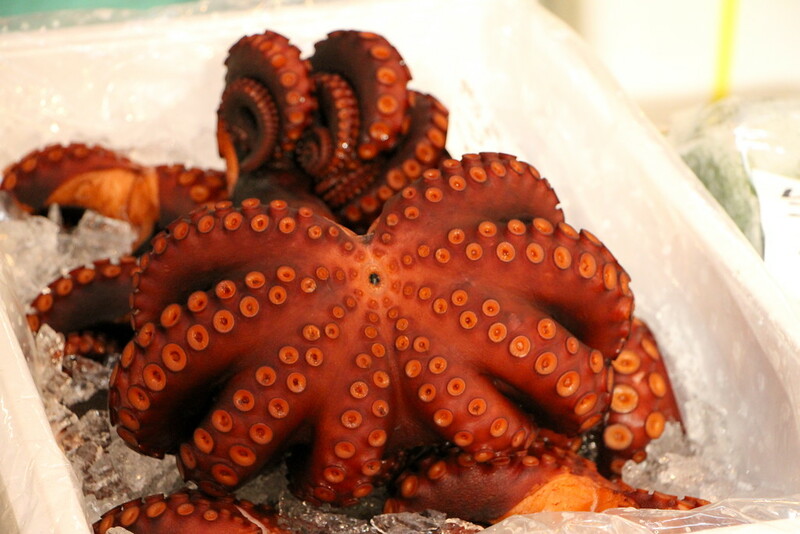 If you’re wondering how they keep the fish so fresh for the sushi, you’ve got to head along to the Tsukiji Fish Market in Tokyo to get to the source of all things sushi. 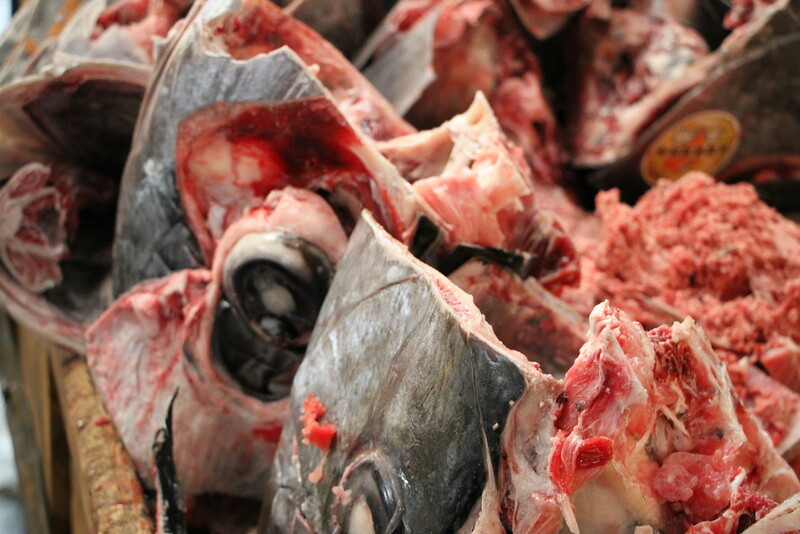 It’s not for the faint hearted though, and it is a working market where deals are done and all manner of creatures from the deep are hooked, filleted and thrown away in front of your very eyes. 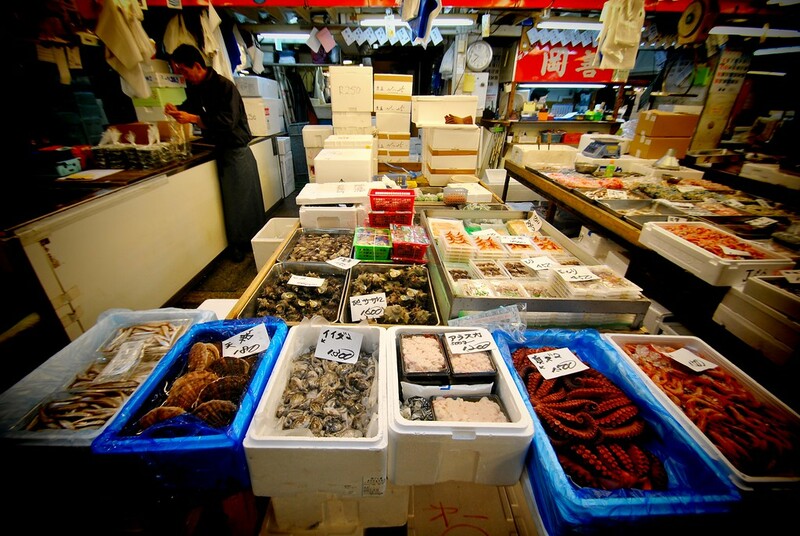 We wrote more about this place in our article: The Tsukiji Fish Market Tokyo! We still can’t believe they let tourists in to just wander about! 20. What Did We Miss Out On? 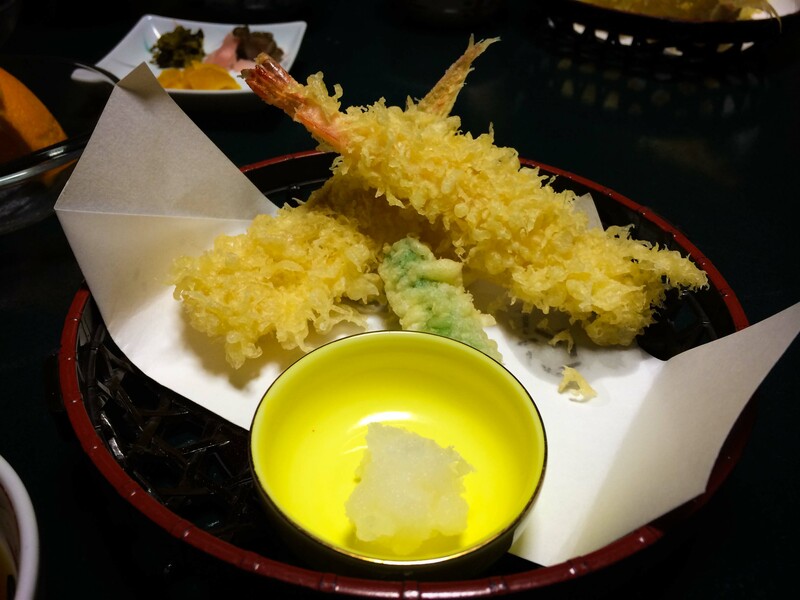 We tried as much as we could in the time we had in Japan, but alas there is always something new to try everywhere you go! 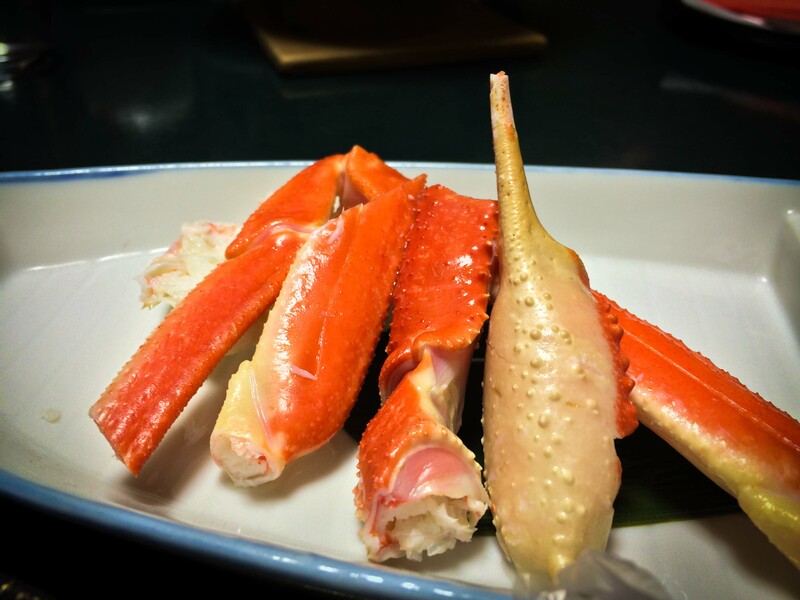 Have you been to Japan before? Do you have any experiences that we missed? We’d love to hear them in the comments below! And so to our challenge for you. We travel to see things we’d never see at home, to experience highs and lows which are more extreme than those in our normal lives. We travel to meet new people, to experience new cultures, to see the world. 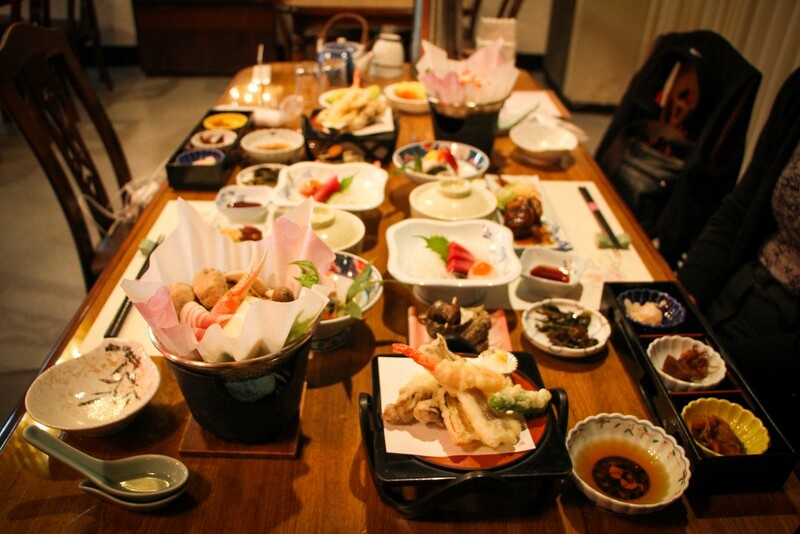 We also travel to eat foods completely alien to us, and Japan fit the bill perfectly for us. So what one food are you going to try THIS WEEK that you’ve never had before? Go ahead and do it, try something new once, you never know, you might just like it. Let us know how you get on in the comments below! Looking for more Japan inspiration? Click here. Hahahaha, oh guys the thing from number 3 is so crazy looking! Loved this article. I am enticed towards Japan even more now! Haha thanks Jo! 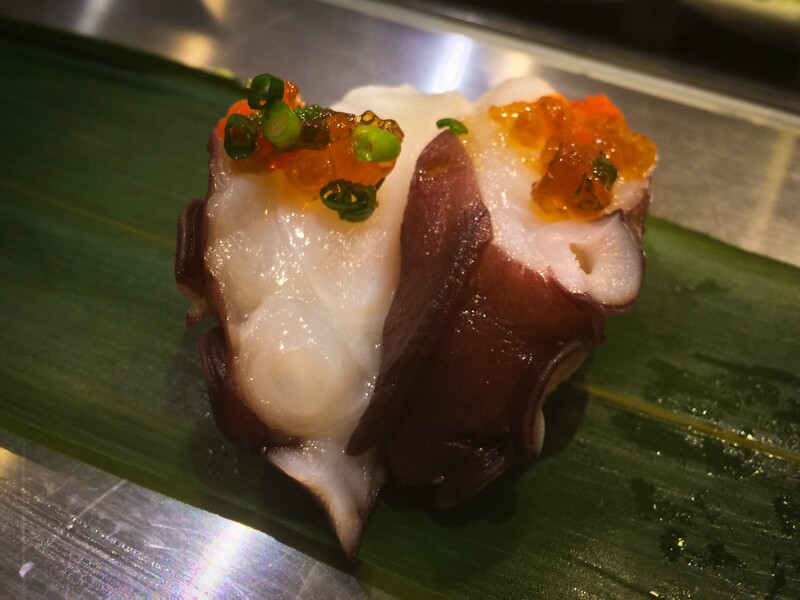 That thing from the deep was really something…I will NEVER try it again. Japan was really good for us, such a unique place unlike anywhere else we have ever been. Well worth a trip if possible! Haha thanks Katie, yep overall Japanese food is incredible, but we did have a few ‘tough’ moments! Let us know how you get on! I like your take on food: be adventurous, and try everything once. 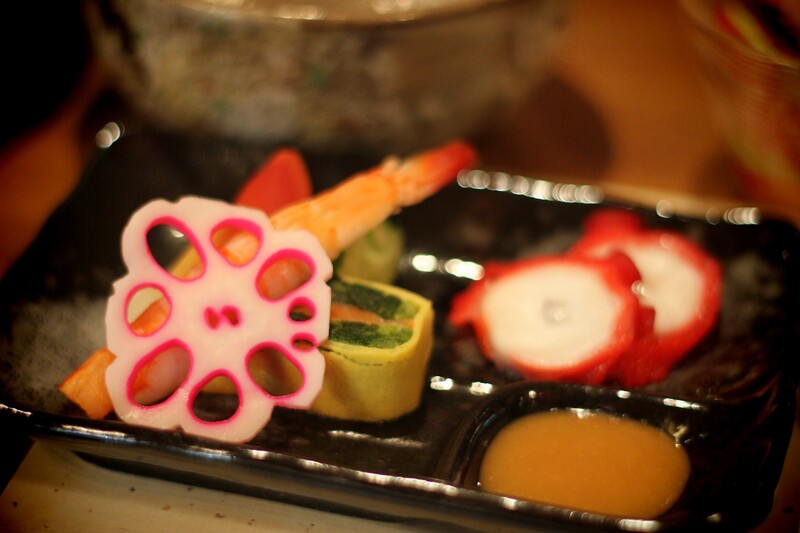 I definitely need to take on a Japanese banquet. 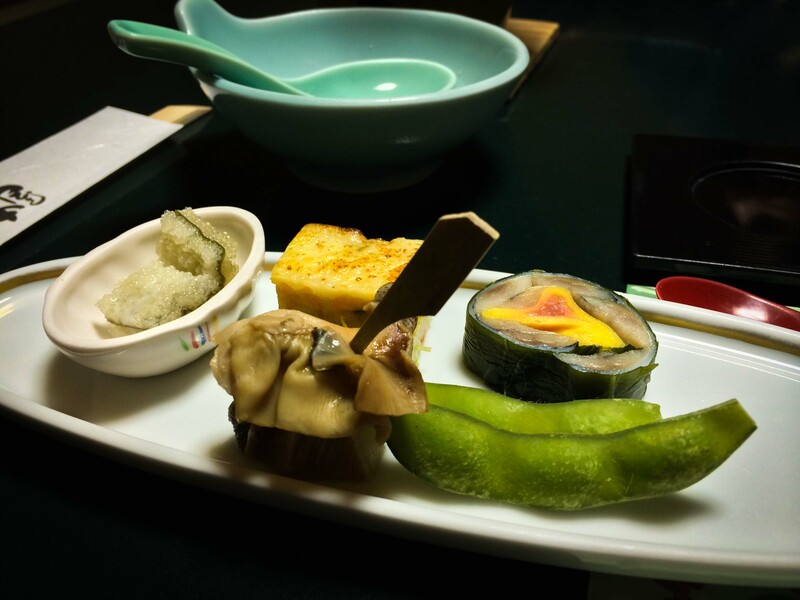 Although I am a picky eater, I have thoroughly enjoyed all of the Japanese restaurants I have been to thus far! 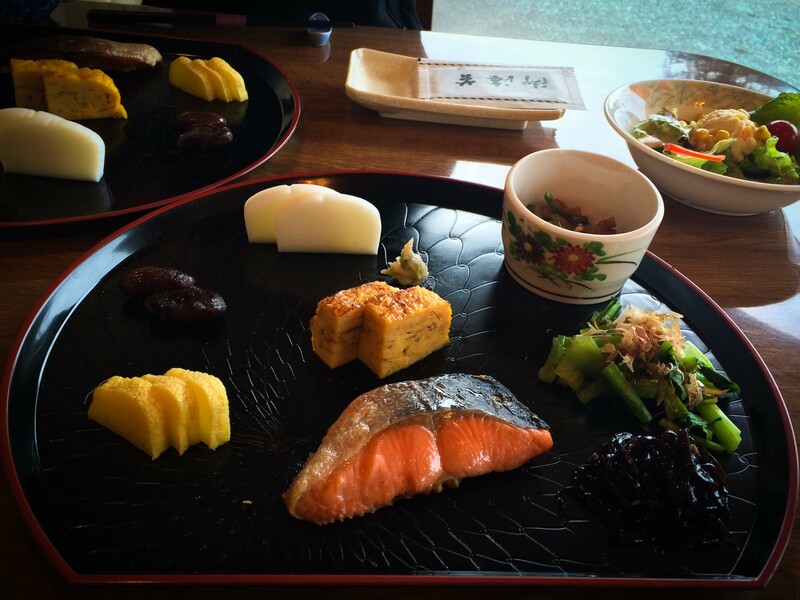 The Japanese banquet is one of our most challenging food experiences to date! Probably only topped by trying to eat a sheep head in the Sahara desert, which was much harder. You should definitely try a banquet when you get a chance! 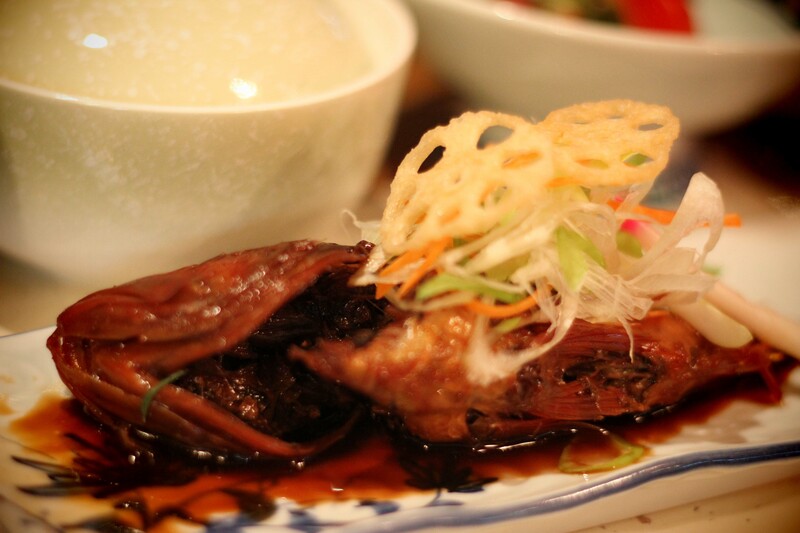 I am a very curious person by nature, so I absolutely had to find out what that snail dish was!! 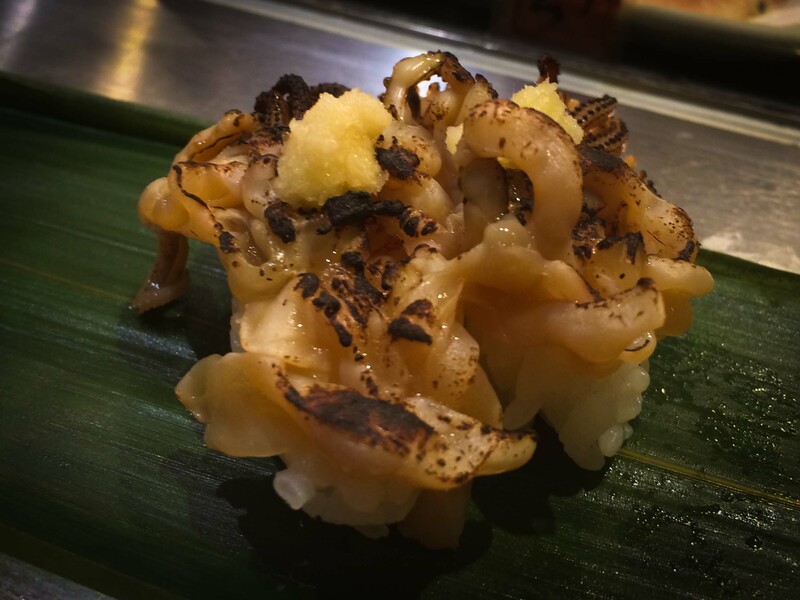 It’s called Sazae, or horned turban sea snail. You actually ate it exactly the way it was meant to be eaten (by pulling about the black intestine at the end), but it’s very bitter and clearly not everyone is a fan. Ah thank you Amara! I’m so glad I ate it the correct way, even if it was something I will NEVER eat it again! Have you tried it? Gotta try everything once right?! 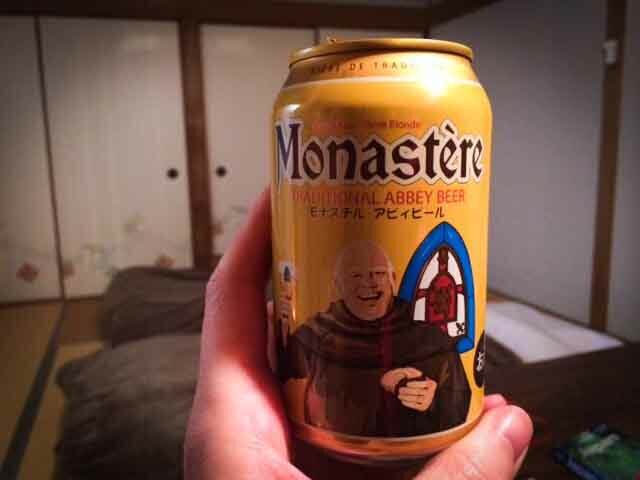 I haven’t, but if I’m ever in Japan I’ll have to remember to try and find it!! 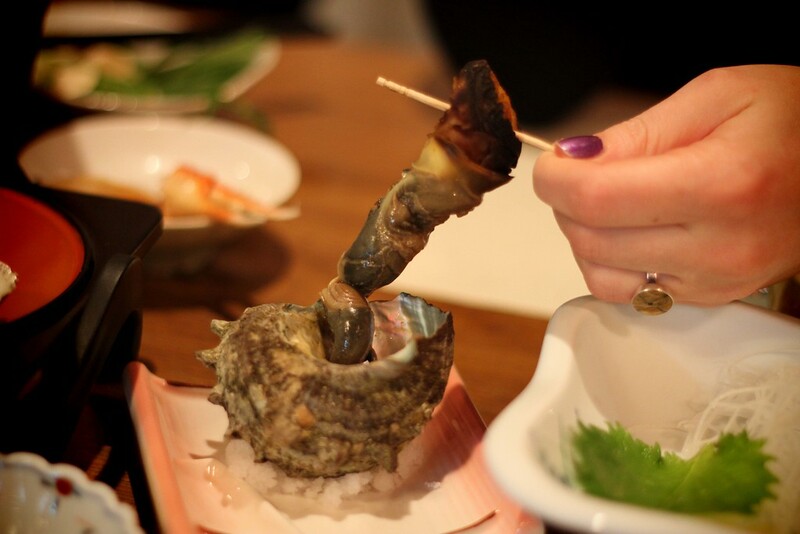 The photo of the sea snail that you didn’t like is called “Sazae”. You eat the whole thing really. I had it once and I thought that it wasn’t that bad. But I guess, it varies for different people.